William has been at JRS UK for 18 months and is currently our Communications Assistant, however he first joined JRS as our Faith that does Justice Intern. Today we talk to him about his experience as an intern and why he thinks the Arrupe Internship is a great opportunity for a graduate who is passionate about social action. What attracted you to the internship? As a student I had done various bits of volunteering so had a good idea that I wanted to work in the charity sector but I didn’t know exactly what I was looking for. I’d been applying for a variety of roles with different organisations but hadn’t found the right job. When I came across the internship (at that time named the Faith that does Justice Internship) I was initially attracted to the wide range of different experiences and opportunities on offer – I would have the opportunity to try my hand at a number of different things, which I hoped would help me figure out where I wanted to develop. Secondly, there was a strong emphasis on working with people; something that I had really enjoyed in my previous voluntary roles. The possibility of working closely alongside those served by JRS was unique in comparison to the other jobs, and something that continues to motivate me now. Finally, the internship offered me a paid position at entry level, something, which I came to discover, was quite rare within the charity sector. What did you learn on the internship? The internship offered me so many opportunities and allowed me to gain many new skills. I was involved with a number of different projects, from data analysis for our report ‘Out in the Cold’ to working closely with our destitution services team as we organised a set of new towels to be given to our refugee friends at winter. My communication skills massively improved and I developed new techniques such as writing press releases and working with design software. Most importantly for me, the internship taught me the value of accompaniment. It is not always possible to solve the specific problems each of our refugee friends face, however, comfort can be found in the knowledge that someone is there walking alongside you. The importance of accompaniment, and how it has shaped my work since, is something that continues to motivate me. Through the internship I was also given the opportunity to explore how my faith related to my work. My personal faith had shaped many of my previous experiences and the intership gave me the chance to deepen my understanding of how my faith impacts and influences different elements of my life. What has happened since the internship? After the internship I became the Communications Assistant at JRS UK. A lot of my work on the internship was focused on developing and running the JRS social media and the various publications we produce. As Communications Assistant I was able to build on the skills I had developed during the internship and continue to grow the communications work of JRS. The internship really helped me to find something that I was interested in and gave me the opportunity build on this passion. What is your advice for anyone thinking of applying for the Arrupe internship? This internship is the perfect opportunity for someone who is interested in a career focussed on social action. The internship is spread across the different work of JRS UK and will allow an intern to experience and develop a number of different aspects of working at a charity. If you interested in working with refugees and open to learning on the job, this internship is a great opportunity to find your feet in the charity sector. 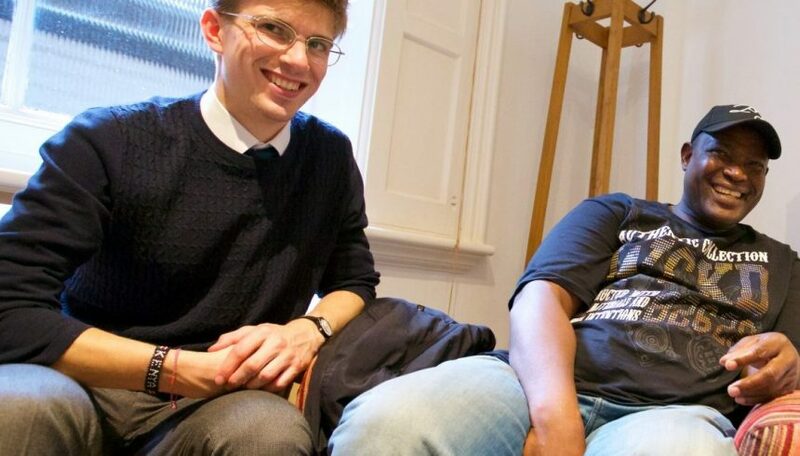 JRS UK are looking for a creative and enthusiastic individual to be our Arrupe Intern. Find out more about the role and apply now. If you have any questions about the internship get in touch with William.